Chicago’s Half Acre Beer Company and Wyoming’s Melvin Brewing are the latest in a series of small-to-mid-sized U.S. brewers to dabble with exporting to the UK market. Melvin’s core range arrived in the UK this January, with London-based distributor The Bottle Shop bringing less-than-two-week-old beer to British shores. Half Acre is due to arrive this month via Kent-based distributor Cave Direct, which expects to offer its customers a similarly fresh product. U.S. exports to the UK are not a recent development. Larger and older American brands such as Sierra Nevada and Brooklyn Brewery have deep footholds within the UK market, having built a national footprint after shipping beer transatlantically for more than a decade. Over the last couple of years we’ve seen Firestone Walker, Oskar Blues, and Stone—which ships the majority of its beer produced in its Berlin facility to the UK—attempt similar success via national placement in major supermarket and pub chains. But even more recently, the craft beer boom that’s generated dramatic change in the beer scenes of cities like London, Leeds, and Manchester has made the market increasingly appealing and more viable for small, young, American breweries. Finback, Other Half, and Bissell Brothers all shipped beer to the UK for special events in 2017. San Diego’s Modern Times has stretched as far as regularly sending its core range of beers all the way from California, distributed via The Bottle Shop. Half Acre and Melvin are the latest to see what appeal the UK may hold for their respective brands. Another common thread in these breweries is that they all produce substantial amounts of fresh, hoppy beers. And that’s something British drinkers can’t get enough of. Much like in the U.S., the UK has seen an explosion in the number of breweries opening in the past few years. There are now more than 2,000 breweries in the UK, and the past 10 years have seen the number of breweries in London rocket from 10 in 2007 to 109 as of February 2018. Meanwhile, many of the UK’s youngest and most popular brewers, such as Beavertown, Northern Monk, and the RateBeer Best Award-winning Cloudwater are forging names for themselves by brewing modern, hop-forward American styles. 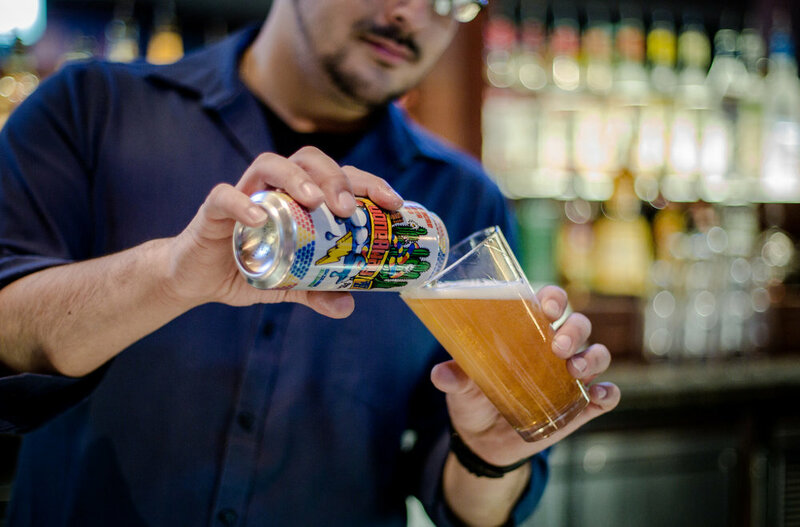 All of which begs the question: what’s the lasting appeal of importing fresh and hop-forward American beer into a rapidly maturing market that’s already making its own? Morgan may be on to something with his claims of audacity. 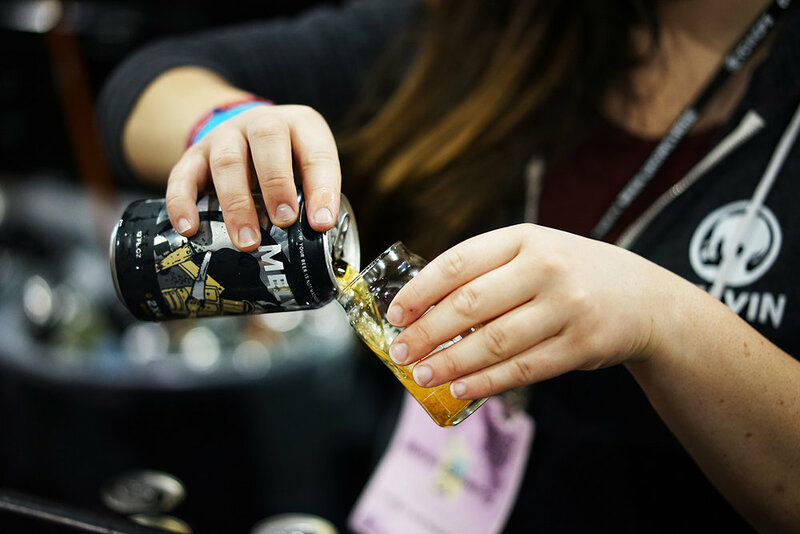 Last year, Cloudwater produced an experimental collaboration with Virginia’s The Veil. Two “identical” beers were produced, Taco and Cat. The former was hopped using ingredients sent directly from The Veil’s own supply, while the latter used hops from Cloudwater’s regular supplier. According to a quick survey, the vast majority of Cloudwater’s customers stated a preference for the beer made using the hops sent over by The Veil. While hardly scientific, it demonstrated, in a way, the crucial importance that hop selection plays in the creation of modern, hop-forward styles. Of course, not every U.S. brewery has found success in the UK seen by the likes of Sierra Nevada or Oskar Blues. Dogfish Head and Odell have both dabbled with UK exports before eventually withdrawing from the market, ultimately struggling to gain the same foothold as their peers. That being said, when Dogfish pulled its beer from the UK in 2011, it cited increased U.S. demand as the reason. We’ve also previously witnessed the disruptive effect U.S. craft beer can have on the UK market. Shortly after Stone’s beers arrived in the UK, they were heavily discounted by a major retailer. More and more though, U.S. brewers seeking to import to the UK will have to balance latent anglophilia with the acceptance that the British market is starting to look increasingly like their own. Even as cold chains between the two countries continue to improve and the British craft beer market continues to draw in greater number of consumers, U.S. brewers seeking to challenge the UK market will face ever stiffer competition that’s producing beers that rival—and sometimes even outperform—their own. The recent RateBeer Best Awards, which featured 10 UK brewers in the top 100, is evidence of that mountain challenge for visiting breweries.